Editors’ Note: More than a decade ago, we attended a presentation given by Clara Miller to a group of foundation representatives. Her talk, presented in the form of a true/false test, challenged attendees to look at the rules of money and finance that govern the nonprofit sector in comparison to those in the for-profit sector. It was a funny and at times painful look at the strange world of nonprofit finance and the contortions that tie nonprofits up in knots that no one from the private sector would recognize. We found Clara’s presentation compelling and are happy to bring you the next best thing to Clara herself: an article based on the presentation. Take the test below—but be careful; it is more difficult than it seems. Then, read for yourself how our shadow universe compares to the “rational” and “time-honored” ways of the for-profit sector. If business is part mystery and part art, a big part of it is also basic science and arithmetic. Some fairly ordinary rules predict typical financial results. Moreover, whether we flout them or honor them, they seem to be universal—almost like laws of nature—and difficult to ignore. But enter the nonprofit sector, and it’s a new and irrational world, like stepping through a looking glass. The rules, when they apply at all, are reversed, and the science turns topsy-turvy. Not only are nonprofit rules that govern money—and therefore business dynamics—different from those in the for-profit sector, they are largely unknown, even among nonprofits and their funders. Or at the very least, they remain unacknowledged and unspoken. Some say they are a closely guarded secret. Even when revealed to for-profit cognoscenti, they are so at odds with the listeners’ familiar world as to prompt confusion, disbelief, and related feelings of cognitive dissonance. Yet at a time when both government and philanthropy are placing substantial bets on the virtues of business and free markets—swept up by venture philanthropy, market-based strategies, social enterprise, and earned-income models for the delivery of public services such as education and healthcare—it would seem more timely than ever for the looking-glass universe of nonprofit management to be revealed. To the extent that government, philanthropy, and the for-profit sector rely on nonprofits to tackle many of our society’s greatest challenges, and are investing public and private funds to that end, a short tour across the Martian surface and into this “shadow economy” might prove helpful. The following true/false quiz is based on seven core assumptions—rules, really—that are pretty dependable in the for-profit sector. In each case, the nonprofit answer is supplied, and the pattern that develops reveals a business and management environment that would give the best, most heroic for-profit managers challenges tantamount to the Seven Labors of Hercules. PRICE COVERS COST AND EVENTUALLY PRODUCES PROFITS, OR ELSE THE BUSINESS FOLDS. Rule #1: The consumer buys the product. True or false? In much of the nonprofit sector, the answer is usually “false.” One of the primary jobs of many nonprofits is to provide vital services to people who can’t pay for them, or at least can’t pay the full freight. Especially in health and social services, a third party usually pays for the product on behalf of the consumer. Therefore, the lion’s share of nonprofit social service, healthcare, job training, housing, and similar businesses provide services to one consumer but are paid by another—or, frequently, by a dizzying array of others, including several levels and programs of government, various private philanthropies, and individual givers. Each has varying ideas of what kinds of products, in the form of job training or social services, are needed. Each also has limitations on what kind of product it is willing to buy for the person who can’t pay. What is a rough for-profit equivalent? Let’s imagine a hotel (on Mayor Riordan’s Mars, perhaps) where the guests arrive needing a room for the night, but most lack the money to pay for it. Before you check them in (you’re the desk clerk as well as the owner; it’s a low-overhead hotel) you need to make sure there’s someone else who is willing to pay for their rooms. For someone in the hospitality business, this is a challenge. Luckily, a variety of people and organizations are willing to pay for these guests. However, each has a different idea about what the guests really want, how much the room should cost, even whether some guests should be able to stay or not. You get on the phone for several hours, making deals and ensuring that there’s someone to pay for the guest’s room, that all the guests will be served, and, to the guests themselves, that the rooms will be OK.
Sound exhausting? That’s one aspect of the job of managing a nonprofit organization that provides services to one group of constituents but receives funding from a range of other sources, including government, individuals, and private philanthropy. The sellers of the hotel’s services (in this case, you) are much like a typical nonprofit director; the third parties who pay for the rooms (donors) are analogous to government and philanthropy; the rooms are the services that nonprofits are paid to render (social, educational, medical, cultural); and the ultimate consumers are the people your nonprofit serves (homeless adults, school children, young adults, the unemployed). Many nonprofit organizations provide services to people who can’t pay for them and therefore must “sell” their wares both to the users and to the people who do pay. The players in these two markets have diverse and sometimes contradictory goals, and nonprofit manager s spend time and attention marketing to them all. This adds complexity and high transaction costs to the business—and a constant tension over mission. Rule #2: Price covers cost and eventually produces profits, or else the business folds. True or false? This is false, and it is really very difficult to manage around. It is particularly awkward when growth or change occurs, and is one of the harshest business realities of the sector. In the nonprofit world, you do lose a buck on virtually every widget (or guest at the nonprofit hotel) and no, you don’t make it up in volume in the nonprofit sector, either. The difference is, you keep doing it! In the for-profit universe, a manager operating an unprofitable business will eventually fold, but most nonprofits’ missions dictate that they accept a “market defect” of some kind—lack of profit being the most common—as a standard operating condition. Why don’t they exit an unprofitable business? Because their nonprofit missions dictate that they stay in it, providing shelter, medical care, disaster relief, and similar services to people with no means to pay and no other options. There are other contributing factors to lack of profitability. First, most of the work is skilled and labor-intensive (human services, education, surgery, nursing care, theater). In institutional settings in particular, fixed costs of operation outside of labor are also high. As former Princeton President William G. Bowen and colleagues so masterfully demonstrated in their classic, The Charitable Nonprofits,2 economies of scale are elusive for a variety of reasons, including, most important, qualitative ones (i.e., if we increase class sizes to 100, all kindergartens will be profitable; and if we simply use volunteers to do brain surgery and provide nursing care, all hospitals will be, too). Second, prices to constituents are inelastic, whether they pay or third party payers do. It’s difficult if not impossible to raise prices for elderly, low-income, or uninsured patients, for example. Therefore, absent the option of full cost pricing to the many market constituents, growth inevitably deepens red ink for the preponderance of nonprofits. And if the payer won’t offer full cost pricing of services, it can be sure that a bullying posture to negotiate lower prices will work. There’s a reason nonprofits operate most of these services: staying in this unprofitable market—peopled by abused children, frail elderly people, terminally ill, and similarly needy citizens—is a moral imperative for the nonprofit manager and employees. They won’t walk away from the highly unprofitable business, even when it’s to the eventual detriment of their programs. This creates a double whammy for management: lack of profit-generated working capital to fund growth (as noted previously), and a continuing need for larger subsidies as growth proceeds. To make up for a lack of profit in the core business, nonprofits, almost by definition, run two businesses—the core, mission-oriented business, and a second “subsidy” business or businesses. The former is easily recognizable in the mainstream economy because it’s quite similar to a for-profit enterprise. The nonprofit is paid for its “core business”: delivering services such as drug treatment, home care, education, or innovative cultural programming. Many of these services receive market derived revenue—via government contracts, ticket sales, tuition, and similar “fees for service,” even when they are paid indirectly (by third party payers). Almost always, however, the cost of these services is greater than the price the government, or foundations, or ticket buyers, or parents paying tuition are able or willing to pay. Even Phillips Academy charges a mere $28,000 in tuition for an education that it notes costs it $50,000 to supply. This requires that most nonprofits operate what is, in essence, a “subsidy business,” to make up the difference between the price it can get for mission related services and what the services really cost to deliver. Subsidy businesses include fundraising, dinner dances, special events, bingo, the capital campaign, for-profit related and unrelated businesses (bookstores, gift shops, parking lots), donated services, wine and cheese parties, endowment management, and any number of creative fundraising ideas long a staple of the sector. The subsidy business needs staffing and investment all its own and is subject to its own laws of growth. Nonprofit Finance Fund’s experience has shown that the cost per dollar raised via the subsidy business varies a great deal, but that scale is key: a dollar raised from individuals at a small social service agency, for example, might cost 50 cents (or even $1.53!). A major institution with highly efficient subsidy businesses (major universities or hospitals, for example) may spend only a fraction of a cent. 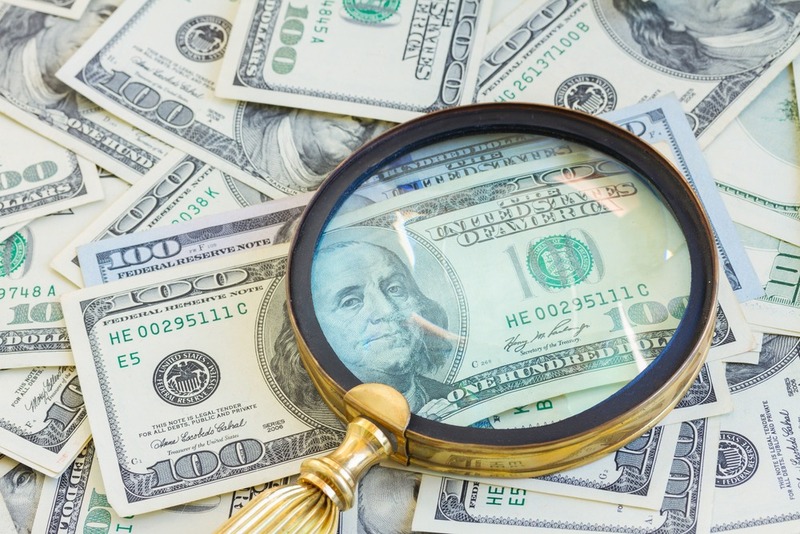 However, the efficiency of use of that subsidy dollar is subject to another set of rules, making the monitoring of “fundraising expense” as an indicator of anything useful for most nonprofits subject to question. More important, how much does it then cost to deliver high quality services? Rule #3: Cash is liquid. True or false? For the lion’s share of many nonprofits’ revenue, the answer is false. When is cash not liquid? When it’s restricted cash! As a good manager in the nonprofit economy, you bring in revenue from direct customers, donors, foundations—a large group of interested “buyers.” These buyers often restrict their purchases and gifts to specific purposes—teacher’s salaries, for example, or books. It’s understandable: this gives your donors a direct, defined connection between their funds and the program. Nevertheless, by nonprofit accounting rules, the restricted cash must then sit in the bank until you go out and buy the item or perform the service its purchaser or donor prescribes. Let’s say your donor restricts the cash donation to replacement mattresses for your homeless shelter. If there’s a plumbing crisis, or you decide to add maintenance staff, you can’t touch that cash. Even if you have cash in the bank, you’re going to need another source of payment, fast. This creates the impression among some that a nonprofit is solvent—flush, even—when it’s actually in a cash crisis. And when you expand services, it can be just as dicey. With grants for growth, it’s common for generous donors to give a large gift for a relatively narrow purpose—to expand the number of people served, for example—and to restrict the use of the funds to a just a few purposes related to that growth. What is less evident to the donor is that an unintended effect of paying only for new beds (for example) is that even more money will be needed for the things the restrictions don’t cover—the other furnishings in the rooms, the heat, blankets, case workers, and similar parts of the operation that you will need to add if you accept the money for new beds. In other words, it actually costs you money—sometimes lots of it—when a donor shows up with a check that has restrictions on its use. Most of us are prone to feelings of cognitive dissonance here. Does this mean that when an organization gets a huge government contract or a large foundation grant, even when it has received the cash and it’s in the bank account, that it’s possible to have no operating cash? How can a nonprofit have cash but not be able to spend it? It’s common, and generally it’s because the cash is restricted with respect to purpose and timing. Sometimes another donor has already given funds with the same restrictions. This often means that the manager needs to raise money to pay for costs the other funds don’t cover in order to be able to fulfill the contract or grant terms. When government funds go unspent, and the announcement is made that there was (for example) “all this day care money, and nobody needed it…” it’s often because, ironically, many nonprofit agencies can’t afford to take the money, given the restrictions and the lack of funds to pay for all the necessities those restrictions rule out. Rule #4: Price is determined by producers’ supply and consumers’ ability and willingness to pay. True or false? The triangular aspect of the nonprofit customer relationship makes this answer false as well. The elementary supply-and-demand relationship is usually plotted on a two-dimensional graph. But the nonprofit relationship is not two-dimensional. It’s more than a battle for market share from consumers making relatively simple buy/no buy decisions about a commodity available from competing suppliers. It’s a complex market in which the battle is for both subsidy and fees, depending on product and market. Moreover, those providing one or the other have different, often conflicting, goals and values. This is most evident in the negotiation around quality and price, where one set of customers is most concerned with quality (I want my child to have a first-class, public education), and the other with price (I want the greatest number of children to be served for our tax dollar). One variation on Rule #3 above is the case of the payer (government, for example) who can’t or won’t cover the entire cost of the services. This creates a situation where the nonprofit provider is left with the difficult task of finding additional subsidy, turning proffered money away, or providing undercapitalized services to clients, with eventual decline in quality. Rule #5: Any profits will drop to the bottom line and are then available for enlarging or improving the business. True or false? False: To most for-profit business people, Rule #5 might seem like the last straw. Even in the unlikely event that a nonprofit finds a way to become more profitable, save money, or build up cash for the next year’s cash needs or multi-year investment, it is frequently unavailable for your use. Thus, the primary source of working capital is systematically eliminated from most nonprofits’ managerial toolboxes, with predictable consequences. Here’s what it’s like. As the executive director of a nonprofit residential social service business, you ordinarily receive a fixed amount to deliver services to, let’s say, children in foster care. One year, you decide to weatherize your building, make the boiler more energy efficient, and upgrade electrical appliance efficiency. Even though the government foster care agency won’t pay for capital improvements, you and your board decide to go ahead anyway—the project will lower costs and make the children more comfortable. It turns out that the energy efficiency makes a big difference, and you end the year with a surplus in your foster care program. Because of reductions in energy use and operating costs, you don’t use the line item for “energy” completely. Can you use it for other approved purposes in the agency—maybe for training or to fund some of the capital improvements, or for extra tutoring? In this case, absolutely not! Under your standard contract, even line item savings within a budget cannot be shifted to another purpose within the budget, and profits (surplus or revenue over expenses) must be refunded, usually by lowering cost reimbursement levels for the next year (or contracting period). At the other end of the spectrum, if you exceed your budget, you must absorb the excess of cost over payment from the contracting agency. And to top it all, the capital expenditures are non-reimbursable. Even though not every case or contract is as draconian as this one, the mentality pervades the sector: surpluses are bad! They signify that you don’t really need the money, and that we’re giving you too much. Rule #6: Investment in infrastructure during growth is necessary for efficiency and profitability. True or false? It stands to reason that this rule is false, just because the other rules are! And while this rule is true in both the for-profit and nonprofit sectors, the nonprofit rules of business largely prohibit investment needed to increase efficiency as growth occurs. Third parties paying for a service prohibit or put limits on spending for anything but “direct program,” not realizing that there are costs of growth in this highly regulated business. Some donors imagine that by limiting the use of their funds to certain direct services only—teachers’ salaries, blood to be transfused, youth workers, food for the soup kitchen, new productions—all other costs (which take on the appearance of wasteful luxuries anyway) will disappear. Moreover, many donors (including those with economics degrees or MBAs) don’t recognize the concept of marginal cost in nonprofit work. They forget, or in some cases deny outright, that growth carries costs of its own separate from direct cost increases (although given the other irrational aspects of the nonprofit economy, who can blame them?). Training of staff for a new facility; people with more sophisticated management skills for key management functions; marketing to a larger audience; managing a larger, more complex organization; additional supervision to help teachers and administrators get used to a larger group of classes; improvement of computer or phone capacity, and the attendant training needs—all these things improve efficiency but are neither regular overhead nor direct costs of program or program expansion. Thus, funds to defray costs that all of us—nonprofit or for-profit—consider a regular, sensible cost of business and a desirable investment in greater efficiency are frequently unavailable, ill-timed, and considered a cost “above and beyond” the real cost of providing services. Again, the desperation of the people being served, and the dedication of those who serve them, make nonprofit managers only too eager to take this untenable deal. Givers, almost invariably well-meaning, generous individuals or foundations, often imagine that this practice improves the likelihood that more money will be spent on services, and increases the number served. Actually, this practice only accomplishes two things: it increases the likelihood that the dedicated manager will lie to protect the people served, or it encourages the manager to seriously underinvest in support and systems, thereby undermining the entire operation, and eventually the quality of services. The irony is that these money rules end up undermining program quality most consistently among the best and the brightest: the innovative community-based programs with important successes, which are going to scale. Rule #7: Overhead is a regular cost of doing business, and varies with business type and stage of development. True or false? It’s unanimous! They all are false! The nonprofit manager operates in another business universe from the earth of Riordan and Bloomberg: no profits; no path to folding the unprofitable business or weed out the walking wounded; restricted revenue; and to top it off, a general allergy to the dread “overhead.” For some reason, overhead is seen as a distraction—an indication that an organization is not putting enough of its attention and resources into program. But wait a minute, say the for-profit managers. Purchasers tell you how to use your revenue? And it can only go to certain kinds of expenses and not others? And on top of this, the amount that can go to overhead is pretty much set at around 10 to 15 percent, unless you have the brand and clout of a major institution (or defense contractor! ), no matter whether you run a school, a fundraising organization, a growing research and advocacy group, or a 300- year old major university? Now you’re getting the idea. Because resources (capital) are scarce, the nonprofit capital market, such as it is, assigns to this capital a manufactured high cost of funds via conflicting rules, high transaction costs, and similar complexities. Why are these “facts of nonprofit business life” important, or even relevant? For one thing, in light of these rules, it’s fairly easy to see why executive leadership in the nonprofit sector is difficult to find and retain (and keep from burning out); why nonprofit self-sufficiency is in reality an ephemeral state in the tradition of Brigadoon and Camelot; why sustainability is so difficult for managers to attain without reaching substantial scale over many years; why keeping the promise of social enterprise is a complex problem for managers from Edison Schools to the PTA; and why economies of scale are so difficult for the sector to attain while maintaining program quality. All the good will, brain power, capacity-building, finger-waggling, standard-setting evaluation and impact measures will eventually be undermined by the way we finance these enterprises. The financial system we have put in place and support is the worst enemy, not only of the improvements everyone is trying to make, but of the socially critical programs and services this system is meant to sustain. All efforts to improve the sector will be merely palliative without essential, systemic reform of the way the rules of finance work. To complicate things, in the nonprofit sector the big spender is most often the government and the real guest is a homeless person who desperately needs a bed, or a child in need of an after school program so she won’t be home alone. Turning them away goes against the grain for all of us, but most viscerally, for the social worker or teacher who is called to take care of them. Nonprofits need to make profits, just like their for-profit counterparts, or their enterprises falter. This alone would improve things. Behind nonprofits’ difficulty pricing their services to cover their costs is a wider struggle for resources. In government contracting, for example, for profits now price to cost plus profit, and generally enjoy better business terms. The for-profit and nonprofit government contracting rules should align with respect to pricing, profit margins, growth capital, overhead, and other well-known and accepted aspects of business operations. The focus on overhead or fundraising cost rules of thumb for nonprofits is generally misplaced. It doesn’t get at the productivity of the organization with respect to mission, and ignores the nuances of a variety of business types and stages of development. Delta Airlines has a different cost structure from e-Bay’s; and the Boys & Girls Clubs’ is different from Compumentor’s. Let’s be intelligent about their financial needs. More and more diverse scrutiny from government and other funders will create more transaction costs in an industry already carrying an overly high level. This will burden large and small alike, making small, innovative, and efficient organizations experience an infusion of cost just as growth is proceeding, and increasing the length of the already long climb to scale. Funders can go a long way toward lowering transaction costs for themselves and their grantees via small modifications to the way they do business, and by taking on the formidable task of tracking program and mission productivity—rather than questionable financial indicators—field-wide. Funders of all types and at all levels—individuals and government alike—need to be aware of the toll the financing system takes on “human capital.” Our capital “supply side” is fragmented and expensive to access, which is burdensome and discouraging for far too many valuable people—from young, innovative teachers to heads of established social service agencies. For all donors, unrestricted grants are the most positive financially and should be the rule and not the exception. This is because anything else, generally speaking, creates cost for the recipient. There may be exceptions, and giving unrestricted funding does not mean that funders cannot or should not be actively involved in communicating with the recipient about plans for the funds, budget, and program strategy. However, anything but unrestricted grants generally creates cost within the grantee’s operation. With self-discipline and a little creativity, we can improve the business environment for our sector, creating a more intelligent, nuanced system of finance for “social enterprises,” and nonprofit services. This will work better than the current approach, which substitutes well-meaning but counterproductive rules of thumb for sensible, informed financial practices. And it will allow us to power sustainability, management improvement, and innovation in the sector by leveraging appropriately some effective and time-tested rules of business. Dean E. Murphy, “Two Cents from a Rich Ex-Mayor: Los Angeles’s Riordan Gives Bloomberg a Few Tips,” The New York Times, December 17, 2001, p. 2-B. William G. Bowen, Thomas I. Nygren, Sarah E. Turner, and Elizabeth A. Duffy, The Charitable Nonprofits: An Analysis of Institutional Dynamics and Characteristics, Indianapolis: Jossey-Bass, October, 1994.